US, Europe and also in Asia, South America and elsewhere. * dealing with the the major issues of security and the environmental impacts. 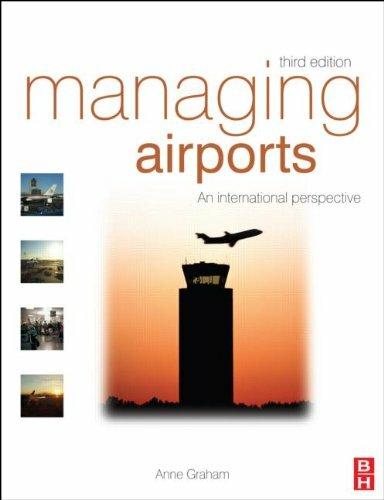 Approaching management topics from a strategic and commercial perspective rather than from an operational and technical angle, the book provides an innovative insight into the processes behind running a successful airport. It contains examples and case studies from airports all over the world to aid understanding of the key topic areas and to place them in a practical context. Accessible and up-to-date, Managing Airports is ideal for students, lecturers and researchers of transport and tourism, and practitioners within the air transport industry. Airport case studies include those from: BAA, Vienna, Aer Rianta, Amsterdam, Australia and the USA. * Revised third edition reflects key developments such as drastic growth in demand, commercialistation and privatisation of airports and issues such as security and environmental impacts * Comprehensive focus on all the key economic, marketing and planning issues related to airport management * International case studies for example, impacts of SARS, the launch of the A380 aircraft, and self-service check-in.